Get a great deal on car rentals in New Zealand with NÜ Car Rentals. No matter your destination, Auckland Airport car rentals from NÜ will get you there. Swim with dolphins, go fishing, hiking, and skiing. Auckland rental cars allow you to do it all, cheap and hassle free. There's no time to waste. Book your NÜ rental car today and save! NÜ Car Rentals has great rates, exclusive discounts, and the cheapest deals to fit any budget. Rated as the third most liveable city in the world, Auckland is a place where vibrant city style and spectacular landscapes go hand in hand. ... Imagine an urban environment where everyone lives within half an hour of beautiful beaches, hiking trails and a dozen enchanting holiday islands. 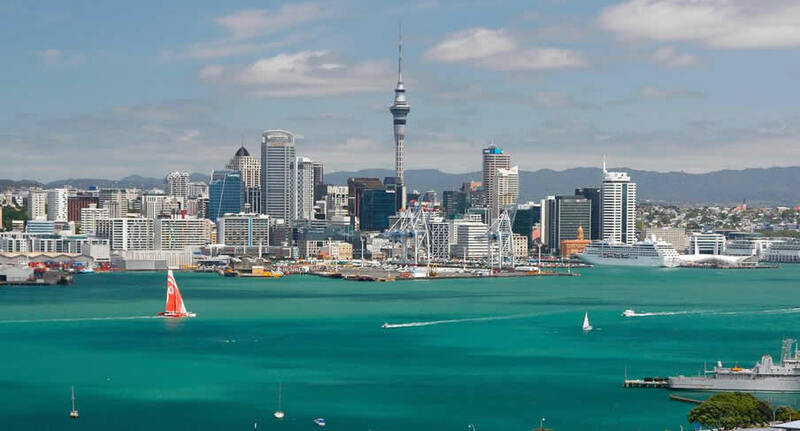 Add a sunny climate, a background rhythm of Polynesian culture and a passion for outstanding food, wine and shopping, and you’re beginning to get the picture of Auckland, New Zealand, our largest and most diverse city. Check out our discount rates today and save! NÜ Car Rentals has great rental cars at affordable rates and cheap deals. Next time you're visiting New Zealand, take NÜ Car Rentals for a ride, for the perfect rental car from Auckland airport.